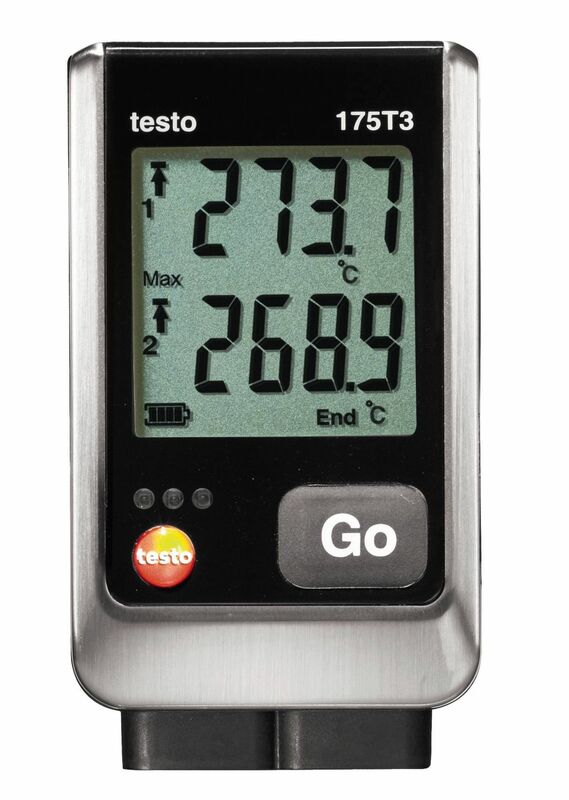 The testo 175 H1 data logger measures, monitors and logs the temperature and relative humidity in buildings and closed rooms. The 175 H1 can monitor the indoor climate in buildings, storage facilities and archives and help create a comfortable climate in the workplace. The logger comes with an external humidity sensor (stub) for shorter reaction times and a lock to prevent it from being easily stolen or tampered with. 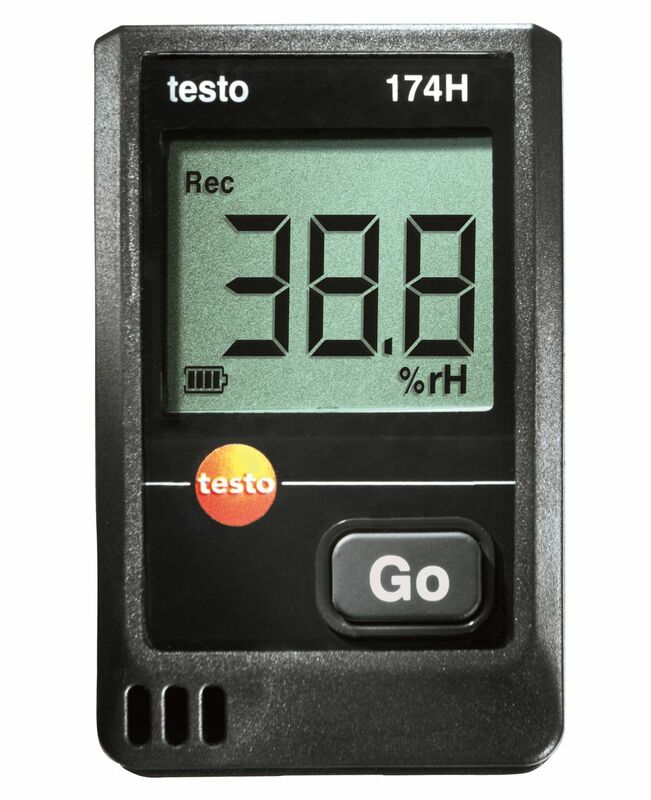 The data logger testo 175 H1 ensures a high level of data security and reliable measurements based on leading-edge technology. It has a super-size memory that can save up to 1 million readings and an extended battery life of up to 3 years. This gives you the freedom to read out the data at longer intervals, even when the measuring cycles are shorter. The triple AAA batteries included in the scope of supply can be easily replaced by the user. You will need a USB cable (not included in scope of supply) to program your data logger. The data can be transferred to your PC either via USB cable or SD card. Both are optionally available as accessories which can be ordered along with your testo 175 H1. Temperature and relative humidity are crucial factors in assessing air quality and levels of comfort in indoor spaces, e.g. in workplaces. With the aid of data loggers, this data can be permanently monitored and documented. They are also excellently suited to the monitoring of ventilation systems or for assessing existing building moisture. With the use of special software, the measurement configurations can be customised and recorded measurement data can be both analysed and stored. The proper observance of storage temperature and humidity is an important prerequisite for the quality control of many products; e.g. in the area of food and pharmaceutical products. To this end data loggers are usually used. They monitor and document the course of ambient conditions automatically, thereby contributing significantly to verifying that product quality is being maintained. The direct display of violations of limit values allows fluctuations in temperature and humidity to be responded to fast. With the aid of the configuration and read out software, custom measurement configurations can also be made and recorded measurement data can be both analysed and stored. The smooth recording and documentation of measurement data plays a significant role for all products that are sensitive to temperature and humidity fluctuations, or which need to be stored in a predesignated area. The wrong conditions during transportation can result in major losses in quality right through to a complete loss of value for the monitored products. With the aid of a data logger, goods in transit can be monitored to make sure specified temperature and humidity zones are being observed; this can then be read out, analysed and stored using special software.